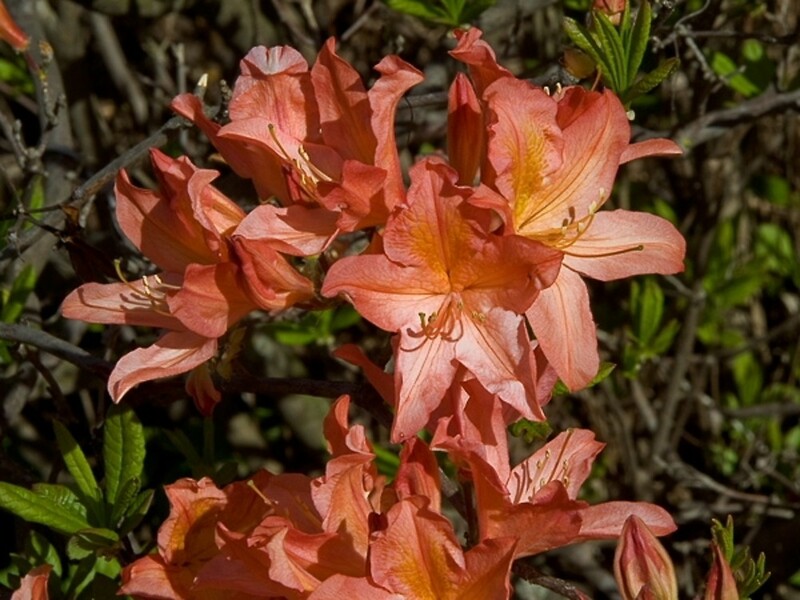 With its showy orange flowers, Japanese azalea loosely resembles Flame azalea (R. calendulaceum). However, the flowers of this species do not have glandular hairs on the outer surface of the petals, and the flower is shaped like a funnel, without a cylindrical tube at the base; also, the twigs have few to no hairs. Escaped populations of this species are recorded only from New Jersey and Connecticut. 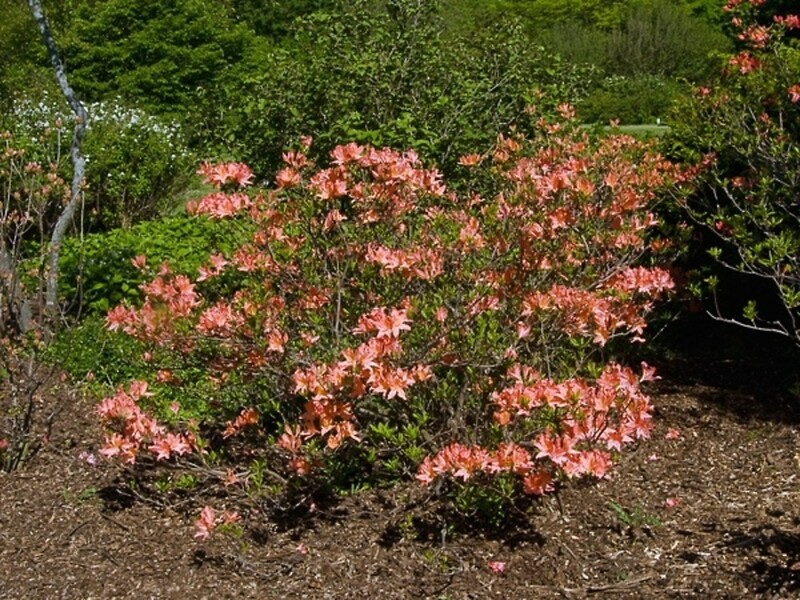 In its native Japan and China, this shrub forms dense thickets in the mountains. corolla with a nearly cylindrical basal, connate portion, stipitate-glandular on the abaxial surface, the yellow blotch when present not divided into smaller dots, and branchlets pubescent (vs. R. japonicum, with the corolla with a funnel-shaped basal, connate portion, eglandular on the abaxial surface, the yellow blotch divided into smaller dots by veins, and branchlets glabrous or infrequently sparsely pubescent). 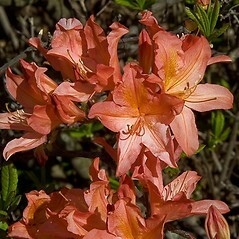 Japanese azalea. 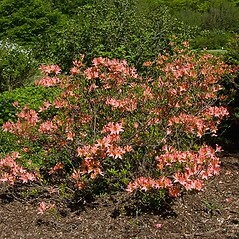 Azalea japonica Gray • CT. Roadsides, fields, areas of habitation. This species is similar to Rhododendron vaseyi in that the corolla has a very short, basal tube that is much shorter than the lobes.